Pallegina, Eder and Aloth make a return. Eder will be able to be a fighter/rogue. 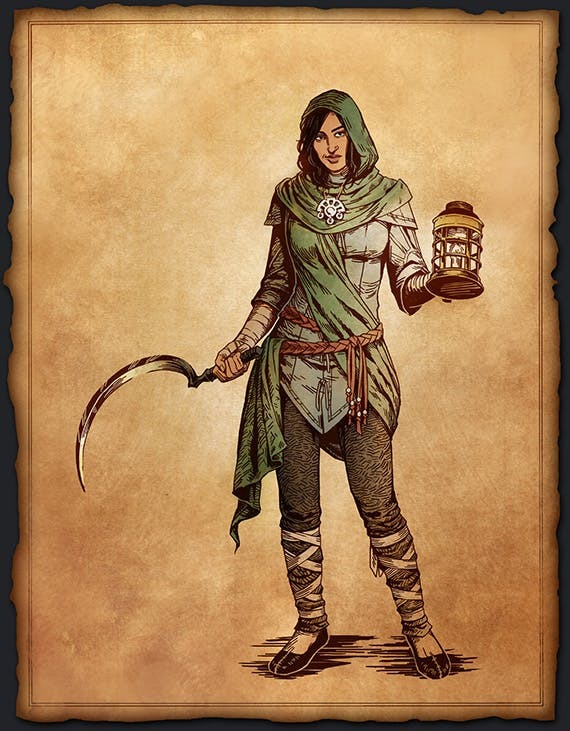 Players can also choose for multiclass characters to be a pure class of one of their two classes. Pallegina may be a Kind Wayfarer subclass, depending on your decisions in POE1. Maia Rua, an island aumaua ranger. She is also Kana's sister. Her pet bird is named Ishiza. Finds herself in the region in an emissary role she doesn't feel suited for. Serafen, an orlan cipher/barbarian. Born a slave, now elevated to pirate. Xoti, a "meadow folk/savannah folk" human priest/monk follower of Gaun, one of the forms of Eothas. Eothas is the god of light and renewal. Gaun is like a kinder, gentler god of death than Rymrgand (like, totally loves death) or Berath (not a people person but totally into the reincarnation thing), reaping what is sowed in life and guiding the dead to rebirth. Tekehu is a godlike druid/chanter. He is a member of something called the Watershapers Guild. Sidekicks are Konstanten, Ydwin, Rekke, and Fessina. Nothing is known about Konstanten, other than that he is a dwarf. Ydwin was introduced to us as a pale elf cipher, then said to be a rogue/cipher. Likes animancy. 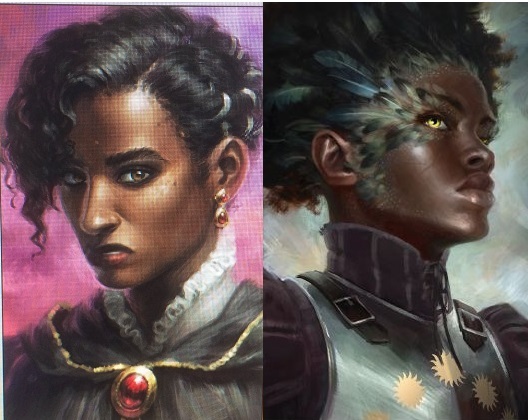 Rekke is a human (storm folk, a new kind of folk) fighter. Apparently rescued after some kind of shipwreck, he doesn’t speak a language known to the region but is happy to lend a hand. Nothing is known about Fessina, though she may be ocean folk. 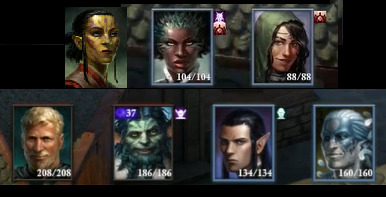 Ocean folk have darker skin tones available than savannah folk and meadow folk in POE1. Two sidekicks announced earlier, Bonteru and Rodara, were cut. Rekke does speak, just not in a language anybody knows, given that he's from someplace that the current known nations don't know much (if anything) about. Isn't there also a special godlike druid? Yeah actually. That'd be Tekehu and he's an unspecified (speculation is Ondra or maybe Galawain) godlike with druid and chanter classes available as the first class. Not much known about him at this time. I knew people would have things to add. Information is scattered across YouTube, twitter, reddit, and the backer page, and no one source has it all. Frustrating. People making threads without linking to what they are talking about, like we all watch a twitch stream of their internet browsing or something, doesn't help. I made this thread because I was trying to piece the information together myself. I guess the portrait appears in a video, but the corresponding update page doesn't mention him. I added a screengrab. Do we know if he's a sidekick or companion? Tekēhu is a Godlike, he is sort of an Ocean Godlike, and he is an Aumaua. He actually is either a Druid or a Chanter. Or both, if you would really like to advance him that way. His cool thing, that I won't go into super detail in because learning about it is half the enjoyment, is that he is a member of something called the Watershapers' Guild. That is a part of Huana society, and it is very, very cool. I don't think they've released a full sized image of Tekehu's portrait, but you can see a small version here. Edit: And he has been confirmed to be a companion. He's also been seen a couple times in recent videos by the team and teasers from Josh Sawyer, and yes, he's one of the confirmed main companions. His backstory is just a mystery to us atm. Just an observation: Fessina appeares to be dressed in Valarian style. Wild speculation: she looks enough like Pallegina to be a relative. Everyone knows Science Fiction is really cool. You know what PoE really needs? Spaceships! There isn't any game that wouldn't be improved by a space combat minigame. Adding one to PoE would send sales skyrocketing, and ensure the game was remembered for all time!!!!! Their faces share a narrow or V-like shape. Pallegina's cheekbones and jaw are more square, and she has much larger lips. Fessina's nose is more pointed. Their eyes are similar and tilt at the same angle. So... it's plausible? But would Pallegina's sister really be a mere sidekick? And we already have Kana's sister, not that we can't have two. Maybe not a sister at all, but some other relative. Fessina as a name does sound Vailian to me, and her portrait does look the part as well. I doubt she has any family ties with Pallegina but if she is Vailian I wouldn't be surprised that they somehow know eachother. They don't even look related at all. I thought Fessina actually looked sorta like Michael Jackson back when he still had dark skin. Also, where is the info that Tekehu is the member of a group called the Watershapers Guild? Sounds like a group specialized in water based magics (which would make sense given their location), but PoE doesn't have that kind of element based specialization. @algroth: It's certainly plausible that Fessina and Pallegina know each other in some fashion, given that Pallegina works with traders and Fessina may still have a ship captian background. I got it from blotter's transcription of a video in this thread. It sounds like the waterbenders from Avatar: The Last Airbender to me. And yeah, they are probably just both Vailian. That was kind of my thought too, sounded like a group specialized in water based magics, except that there isn't any sort of elemental specialization in PoE1 and I don't see it happening in PoE2 either. So, we'll just have to see what that watershaper guild thing is all about. 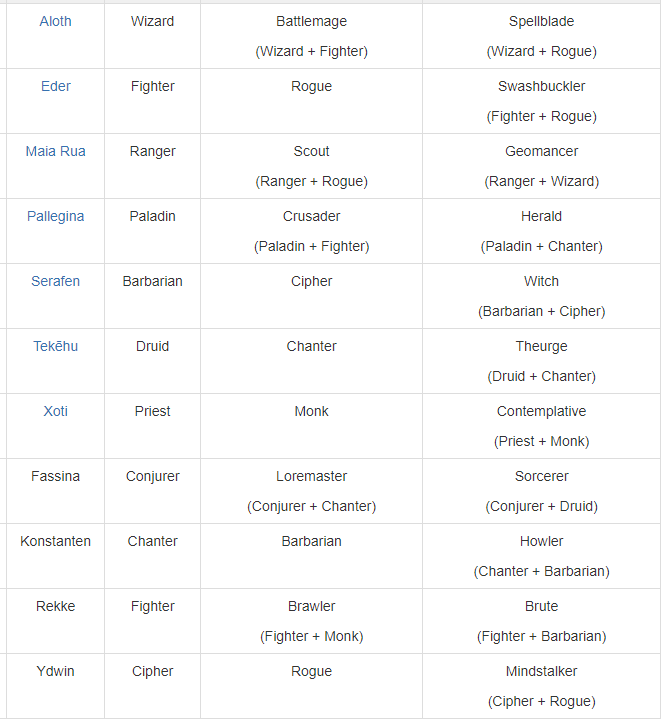 There are two characters with Cipher, Fighter, and Rogue classes. Going by the logic that the Developers want variety in choices, I'm going to guess that Konstanten and Fessina won't have those classes. Fessina is dressed like a Priest or Wizard; Konstanten is maybe a Monk or Druid? I got it from blotter's transcription of a video in this thread. Which I got from Fereed's transcription of Q&A 6. I'm not trying to pass his hard work off as mine. Am I the only person who thinks Fessina looks like Michael Jackson? Oh right, derp, I see his post, but I don't see watershapers guild in that Q&A, and isn't watershaper actually his character specific druid subclass? You're right. I linked to the wrong Q&A in my last post (but not the initial post, which links to the Q&A video itself where you can watch Sawyer talk about it); Q&A 5's the one that mentions it. His druid subclass is indeed Watershaper according to Sawyer's tumbler page (https://jesawyer.tumblr.com/post/165191293231/hi-josh-i-was-wodnering-if-all-companions-will), but it sounds like it's an organization as well. Was the Watershaper's Guild founded centuries back by a certain woman of incredible innate powers, who went by the name Occulted Jade? Terratus is Eora confirmed?! That would be a funny crossover, but if there IS a crossover like that, it's going to be pretty subtle. I don't think it'll happen. Just making a joke as some people still wonder if both worlds are the same. I believe there is also only one ranger, chanter, barbarian*, paladin and druid. Fessina's outfit could easily be a chanter (although I agree that wizard seems more likely) and Konstanten a barbarian. They could also have two options (and a multiclass) each. *or does Aloth still have a barbarian option? I haven't seen it mentioned for a while. 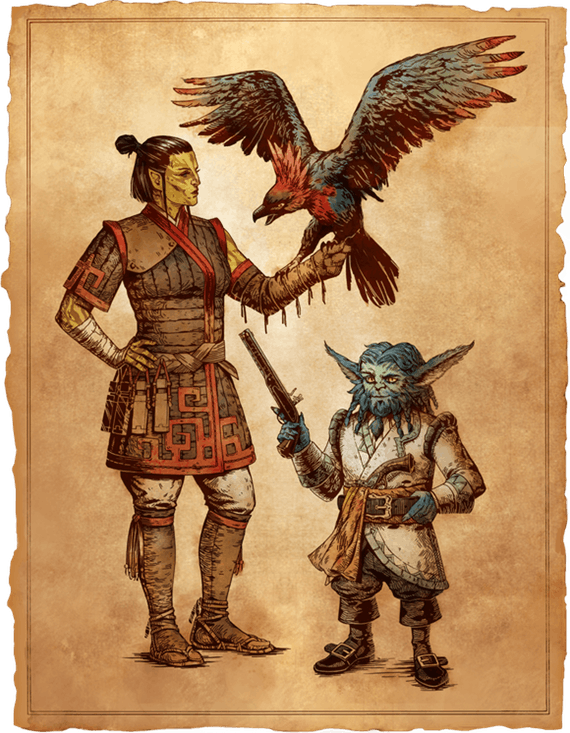 Note that some other characters, like Aloth, must always start from a single class because it is more central to their concept. You may multiclass Aloth as a wizard/fighter, a wizard/barbarian, or a wizard/cipher, but his first class will always be wizard. Also, one thing that comes to mind about the Watershapers is that the name seems a bit reminiscent of the Ondrite title scheme for classes in the White March, where we encounter Galesingers (though Tekehu's chanter subclass is actually Storm Speaker), Tidalfists, and Crescentwards. Aside from fitting her portfolio, we also see Ondrites use water to create a barrier before the reliquary at the Abbey of the Fallen Moon in the expansion, maybe the manipulation of water to create structures/obstacles/routes is more of a common practice for her faithful overall.